2. Godparents must be practicing Catholics. 3. They need to have received the sacraments of Baptism, First Communion and Confirmation. it must be a marriage through the Catholic Church. Are you interested in any of the 7 Sacraments? Please contact us or visit the Parish Office during office hours to receive more information. We will be delighted to help. 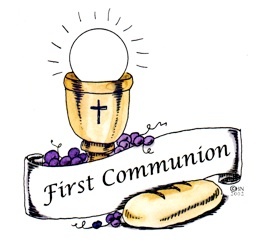 First Communion classes have begun. Please make sure to follow the calendar dates. (Time: 10:00 - 11:00 AM) - Saints Cyril and Methodius Church Hall. Class are on Monday&apos;s at 7:00 PM at Sacred Heart Church in the Senior Room. La clase de adultos se lleva a cabo de septiembre a abril. Los sacramentos se reciben en la Vigilia Pascual. The RCIA Program in English is held at our Sister Parish, Sacred Heart Church. For more information about the English Program please call Sacred Heart Church at 973-546-6012.